I happen to really love history, especially military history. When on vacation, I drag my less-than-enthusiastic friends to obscure Civil War battle sites and get WAY too thrilled by accidentally stumbling across a house that was once used as a Civil War hospital. Recently, I got my hands on a series of lectures about great military disasters. I’m talking about battles that went so horribly wrong that entire armies were wiped out and empires fell because of it. The losing side in some of the battles in the lectures had something like 80-100% casualties. Interestingly enough, the SAME problems kept popping up in almost every battle that went horribly wrong. And, as a writer, I started paying attention. If I wanted to write a battle scene where the villain lost a battle in a horrific, defining way (or the hero, though this is more rare because battles that are lost this spectacularly are hard to recover from) , history gives LOTS of examples on exactly how that should be done. Here it goes. A set of instructions on how to Horribly, Epically Lose a Battle. Be as Overconfident as possible. If you want to lose a battle as disastrously as possible, this is the number one thing to keep in mind. Almost every horrible, tragic defeat stems from this. Overconfidence leads to a host of other errors such as underestimating the enemy’s intelligence and numbers (preferably coupled with a healthy dose of prejudice that the other side can NEVER be as awesome as your own men), ignoring basic military tenants (such as scouting the land and the enemy’s position before engaging in battle), not knowing when to retreat, pouring more resources into an already lost battle and thereby making the loss even worse than it would’ve been, and even ignoring your own orders (such as ignoring your own order to fortify your position when encamped in enemy territory and instead letting your camp sprawl out in all disorganized directions). This number one error will ultimately cause a compounding of several errors and lead to an epically horrible defeat that will probably end your life or at the very least bring down whatever empire you were hoping to build. 2. Put People in Leadership Positions who Hate Each Other. If your commanders, especially your top commanders, cannot work together, you will be well on your way to a massive military disaster, especially if you’ve stuck to advice #1 and cling to overconfidence. If your commanders hate each other, they won’t communicate on the battlefield, leading to mismanaged charges, missed opportunities, and strife within the ranks. They might even get so caught up in verbally fighting each other that they forget about actually fighting the enemy, or they will actually hinder each others ability to fight the enemy. Better yet, make sure one or both of these commanders are incompetent as well as argumentative. Epic military disaster will ensue. Usually, these tactical errors will automatically arise from overconfidence, and that overconfidence will also prevent you from correcting them when they do occur. Not scouting the land or enemy position. This sets you up for getting your entire army trapped in an ambush and wiped out. Fighting the current war with the tactics of the last war. This always has horrible consequences, especially when advances in technology have occurred. Even if no technological advances have happened, always using the EXACT SAME tactics in every battle usually gives the enemy a chance to figure out a way to counter them. Having advances in technology, but not using it to its best effect. Not sending in enough men to turn the tide of battle at the crucial moment. Not retreating when the battle has already been lost. Even better, keep sending in men into a losing battle. This maximizes casualties and guarantees the worst possible outcome. Sending out unclear orders to your commanders. This will send them into chaos and confusion, especially if they are arguing with each other. Having unclear reasons for even engaging in that battle in the first place so that the cost of the battle, even if you won, would outweigh the benefit (such as using a whole army to capture an outpost that a small group of commandos could capture just as easily). If you follow these three instructions and compound all of these errors one on top of another, you will lead you, your men, and your empire into a disastrous military defeat that will probably lead to your death. All joking aside, while this list seems like a rather hyperbolic list, in the lectures I listened to on military disasters, this is exactly what happened through 23 major military disasters across thousands of years of history all over the world. Some of the mistakes that were made were so foolish, a writer would hardly dare have a villain make that mistake because they would appear too foolish to live (and that is usually exactly what happened in history). Some of the battles were hard to listen to knowing that much of the bloodshed was unnecessary. It’s that time again! Defy releases in a little bit over a month and a half. Eeek! My cover designer is furiously working on the cover, so I should have that by the time I send out the blog tour information in the first week of May. I have two sign ups this time around. One is the standard blog tour sign up. 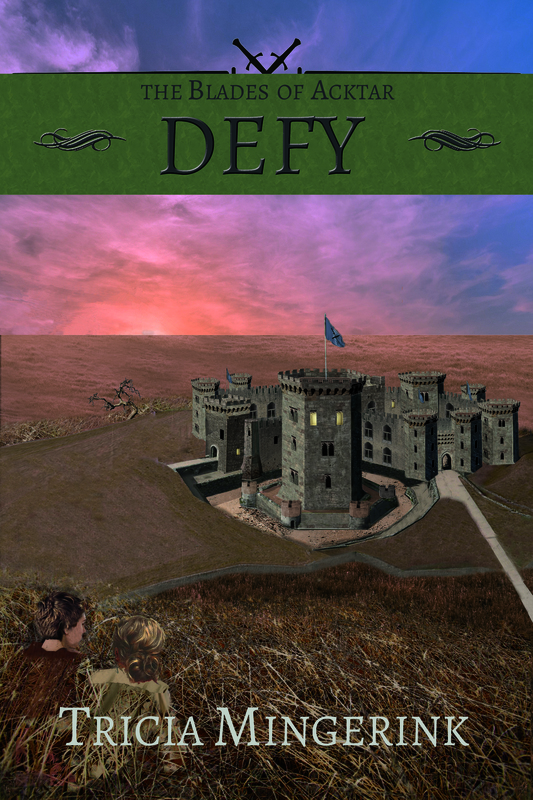 The other is for those who don’t have a blog and would like to review Defy on Amazon and other places. Thanks in advance for your willingness to help out once again! I know this is a crazy couple of months with lots of releases, so I definitely appreciate it!